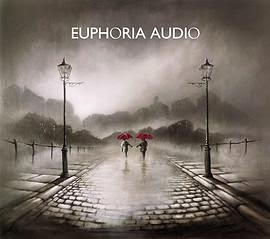 There’s a nice clarity and cleanliness to Euphoria Audio’s sound, even if their name sounds like a second hand hi fi shop. Their sound is less Def Leppard or Bon Jovi, and more Creed, Nickelback and Shinedown. It’s tuneful, earnest and less exciting than it could be, designed for stadiums and lighter waving audiences. Matt Shirty has the perfect sort of voice, all angst and anguish, and keeps the music alive throughout. It’s the sort of stuff that you can easily enjoy whilst it’s on, but for the life out of me I can’t hum a tune after listening to it ten times. Euphoria Audio may be the next big thing for teens, but I just found it very hard to really get into them. There’s no denying the talent here, and they do make a pleasing sound from track one to track eleven, but they may find it hard to get their heads above the crowd of other bands making almost exactly the same type of music. 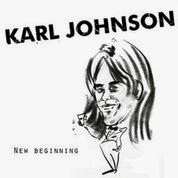 KARL JOHNSON – "New Beginning"
You probably don’t know Karl Johnson, ex lead singer and writer for Spin, but he’s been plotting away in his shed at the bottom of the garden for a while now, preparing to take any part of the world that’ll have him by storm. Much like fellow one man band Phil Vincent, Karl does just about everything on this, his first solo album, and is planning to release several more. So is the UK’s version of Phil Vincent worth your time? I have to say that he certainly is, with this full length debut coming in at a wallet friendly £4.99 to download from his official site (link at the bottom of the review). Although he has recorded heavier music for a future release, ‘New Beginning’ is definitely aimed at the melodic market, grabbing melodies and influences from classic AOR, modern pop rock and even a bit of West Coast, with the laid back but still groovy ‘Ordinary’. Vocally, he has a fine voice, and the whole thing is very well balanced considering it was all done by the man himself. It’s not really a guitar heavy album, although there are some nice little solos – it’s all about the melody and choruses, which is fine by me. It’s always nice to find a new artist who has the discipline to put out an album with no weak tracks, and Karl sensibly keeps himself down to eleven tracks rather than loading up with more ‘just because I can’, as some do. The standout track for me is the upbeat, ludicrously catchy ‘Brightest Star’, although there’s certainly plenty of competition elsewhere. Overall, it’s reasonably laid back but with a coiled spring like energy bubbling away beneath the surface. Definitely a name to check out, especially at the nice price, Karl Johnson deserves a few minutes of your time. The phrase ‘Dream Team’ is often bandied about, and in music it applies to the likes of Jagger and Richards, Daltrey and Towsend or May and Mercury. In the rock world it is totally just to apply it to Hansen and Kiske, a couple of lads who made my life a lot more exciting back when they were in Helloween, even if it was only for two albums. 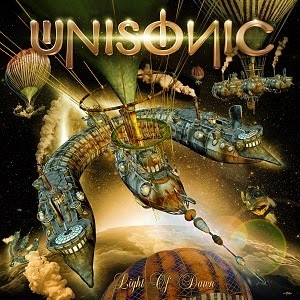 So is it godo to have them back together for their second Unisonic album? Hell, yeah! The first thing that grabs you about ‘Light Of Dawn’ is, unsurprisingly, Michael Kiske’s vocals, which are as powerful and soaring as they ever were. Many, many other singers have taken their lead from his groundbreaking style, but none has quite managed to match the superior tone of Kiske in full flight. Listening to ‘For The Kingdom’ transports me back to my teenage years again, swimming in the sheer melody and power, broken up only by a widdle-tastic solo from Kai Hansen. It’s one of several tracks that could have walked off of either of Helloween’s ‘Keeper…’ albums, and this is definitely a Good Thing. ‘Not Gonna Take Anymore’ is a more cumbersome track that comes across like something from one of the ‘Avantasia’ albums. It’s a bit of a fists in the air track, with a pounding drum beat and orchestral keyboards that bring to mind Kiske’s Avantasia appearances. There’s also ‘Blood’, a power ballad that doesn’t really do it for me, except when Hansen lets rip. On the whole, ‘Light Of Dawn’ is an upbeat album that will have fans of classic power metal falling over themselves to get a copy. Personally, I feel that the slower tracks can trip up the momentum built up by the faster ones, but this doesn’t alter the fact that this is an album with a hell of a lot to enjoy within.